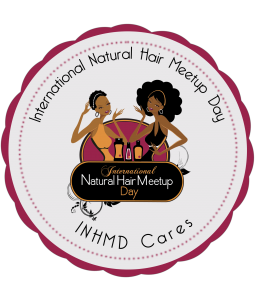 INHMD Ft. Lauderdale was hosted by South Florida’s Natural in the Sun. You can visit their Naturals in the Sun Facebook Fan Page and/or Naturals in the Sun YouTube Channel for more information about this group. This group consists of three beautiful ladies that goes by the names of Ms. Mojo, Fae Love, and Chanell. The meet-up was a small group; more than 20 less than 30… I should say. The hosts explained that they wanted this meet-up to be very personal and highly interactive. I was able to take some pictures at the end; didn’t want my Canon 60D and Speedlight flash to be lighting up the entire room. I really did enjoy this event, primarily because everyone felt like friends. The entire room was filled with energy and laughter. So participation in the activities were not a problem. Questionnaires, quizzes, raffles, and challenges had full attention. The table I sat at had probably the most liveliest participants, and conversing with fellow naturals was like a blissful moment. Shared stories of families, kids, and husbands supporting wives on their transitions and journey of embracing natural hair. Please enjoy the photos below. Well, overall the event was a blast thanks to the attendees and the hosts. 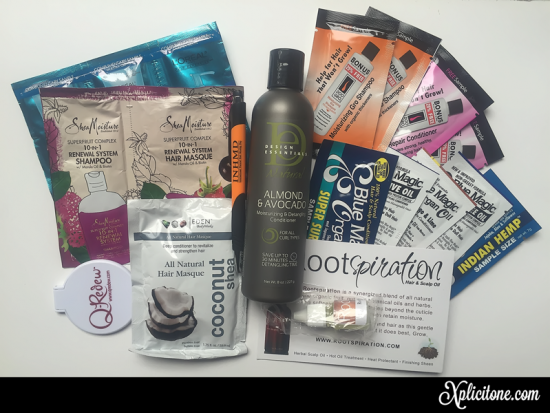 Looking forward to trying some of these products and posting a review later on :-D. Hope you enjoy the photos.